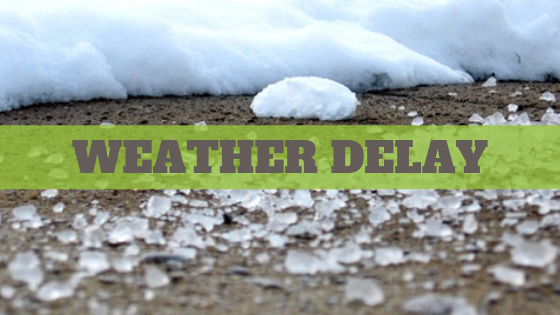 Due to icy weather conditions, and in an effort to keep our employees safe, non-public safety City buildings—including City Hall and Parks and Recreation/the Kulick Community Center—will delay opening until 10 a.m. today. Closing hours remain the same. Department of Public Works employees will be out salting major roads and working with public safety and utility officials to monitor conditions and address any issues that may arise due to the storm. We are here for you and want to make sure you get the services you need. One of the most common questions we receive in the case of extreme weather is, “Who should I call?” Oftentimes, people will try to save time by calling the police department directly–however, the police are not always the appropriate resource, and unnecessary calls can tie up emergency lines for those in need. Please review the list below so you receive the fastest and most reliable assistance needed. ‍My power is out: Do NOT contact the police department—including the non-emergency line—to report a power outage or inquire about a timeline for power restoration. The police department has no information about outages and there are a limited number of phone lines, so calling about a power outage ties up lines needed for legitimate problems and emergencies.Report power outages directly to DTE Energy by web, through the mobile app, or by phone at 800-477-4747. A power line comes down: Contact the Ferndale Police Department at 248-541-3650 (or 911 if you believe the situation is an emergency). Also report the downed line to DTE Energy by web, through the mobile app, or by phone at 800-477-4747. My cable, internet, or phone is out: Again, do NOT contact the police department—including the non-emergency line—to report a utility outage. Contact your service provider directly to report the outage and inquire about restoration.